Product Details-Use- help nourish the cats hair and skin Low-sodium formula helps decrease the risks of high blood pressure, Suitable- For adult cat 1 year.Quantity-80 Gm. Product Information-Complete and balanced nutrition for cats Delicious Taurine is an amino acid that is essential for the proper functioning of the eyes and to improve the cats eyesight Vitamin C boots cats immune system and helps reduce the detrimental effects of stress on your cats health Calcium, Phosphorus and Vitamin D help strengthen teeth and bones. 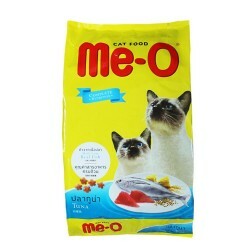 This Formula was developed to help prevent the risk of FLUTD (Feline Lower Urinary Tract Disease) Omega-3 and Omega-6 from high quality oil in combination with Zinc will help nourish the cats hair and skin Low-sodium formula helps decrease the risks of high blood pressure, kidney and heart disease in cats for adult cat 1 year.